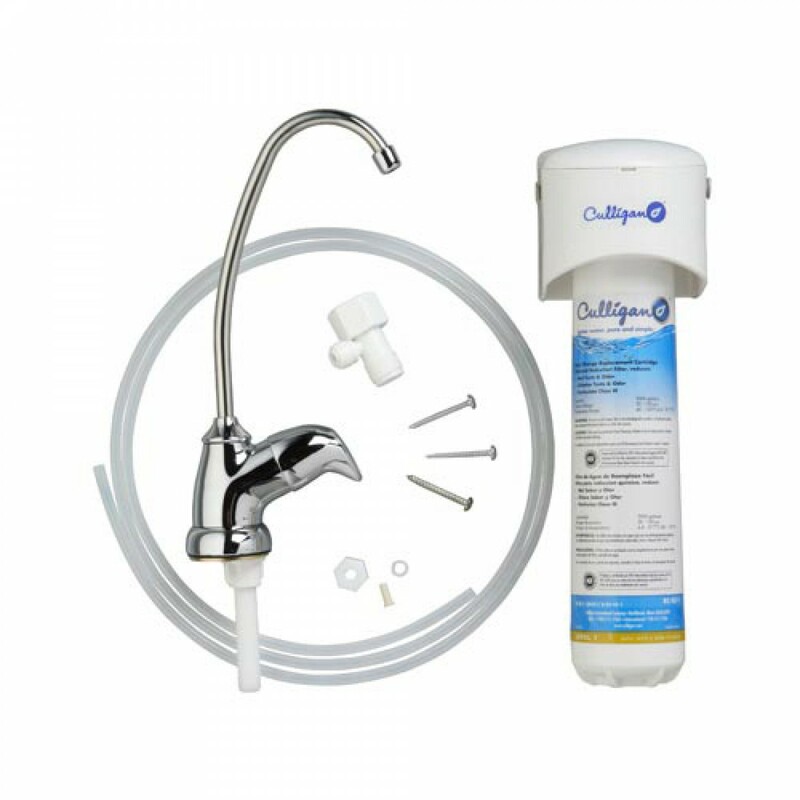 Culligan US-EZ-1 undersink Drinking Water Filter System for installation under the sink to improve water quality. Produces healthier, better-tasting drinking and cooking water. Quick-connect fittings double water shut-off. NSF/ANSI Standard 42 Certified for the aesthetic reduction of chlorine Taste and Odor and Nominal Particulate Class III. Easy twist-on, twist-off design mechanism that does not leave a mess. 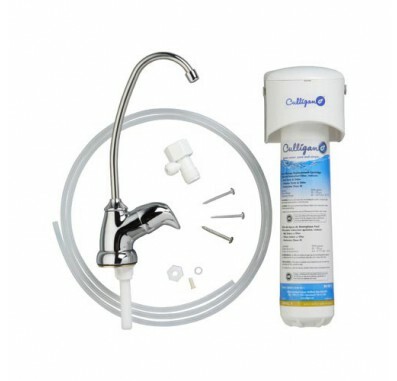 The replacement filter for the Culligan US-EZ-1 undersink filter system is the Culligan RC-EZ-1 replacement filter.